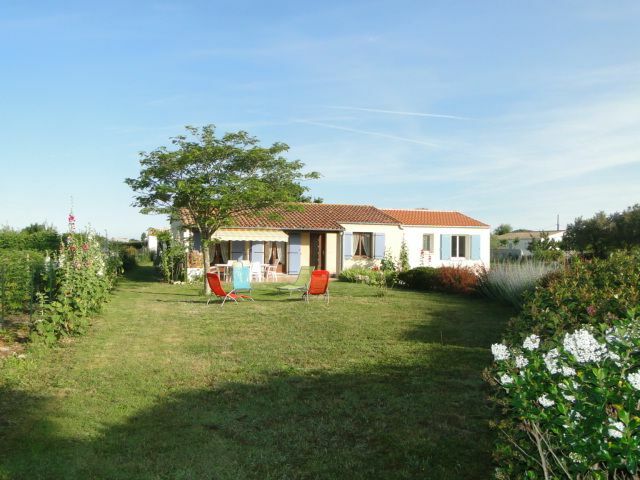 With family or friends, spend homey, relaxing holiday on the island of Oleron in this house on one level offering every modern comfort. Surrounded by a plot of 1100m2, you can organize large picnics or lunches familaux through chairs and garden furniture. You can even make your animals frolic since they are allowed in the house. The proximity to the beach will allow you to enjoy your days off. For 50 euros more on the rental price, cleaning the house after your departure is supported for that you have to worry about anything. A very comfortable holiday home. A very comfortable holiday home with a large completely enclosed garden. Lovely outside sitting space with bar-b-q. House well maintained and very clean. Shops etc within walking distance. I would recommend this property. With the beach only 10 minutes walk you can enjoy sunny days you can swim or even shellfish. The shops are only 400m. On the island you will also find riding stables and golf courses. The ubiquitous nature allows you to organize marches on foot to observe wildlife and the surrounding flora.